The sun is shining and there’s not a cloud in the sky. Picture perfect weather is what everyone is expecting during their beach vacation. Unfortunately, sometimes rain and sleet do happen. In that case, you shouldn’t have to stop your dream vacation from continuing just as planned. We have created a list of the top activities to do to entertain your guests during your beach vacation along the Gulf Coast. 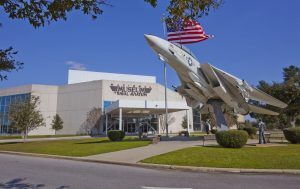 The National Naval Aviation Museum is a quick drive along the coast into Pensacola, FL and is an ideal location for rich history and historic displays. The 350,000 square feet museum is the largest Naval Aviation museum. The best part of a visit to the museum is that it’s FREE! The David L. Bodenhamer Recreation Center is located in the heart of Gulf Shores, AL and offers a variety of recreational activities. 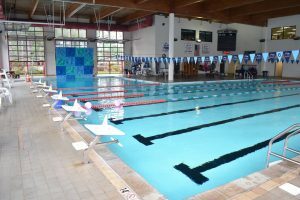 Even though the center is membership based, daily passes can be purchased for only $10 per day per person and include access to the indoor pool, basketball/racquetball courts and game room. 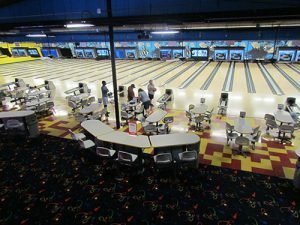 Gulf Bowl is not your ordinary bowling alley. 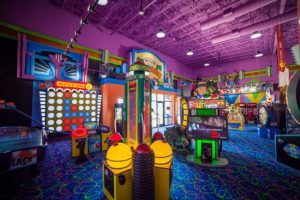 Located in Foley, AL, the owners of Gulf Bowl focus on family entertainment that includes state-of-the-art lanes, laser tag, ropes course, interactive arcade, dining and even private parties. Fat Daddy’s Arcade is in Orange Beach, AL and offers over 80 different arcade games. Catering to all ages, Fat Daddy’s offers something for everyone. Many of the larger-than-life size games award tickets that can be redeemed for sought after prizes. The Factory in one of Gulf Shores newest additions for family fun. With so many different activities under one roof, they encourage everyone to play now and grow up later. Guests can jump around on over 12,000 square feet of connected trampolines. Other activities include an obstacle course, foam pits, dodgeball, flight simulator and an arcade. 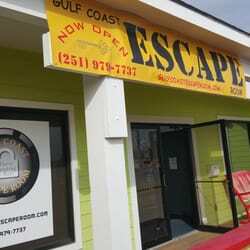 The Gulf Coast Escape Room is great for all ages and is designed to get you out of your comfort zone. Work together as a team to make your great escape in under 60 minutes. Each room has a different theme where you have to crack codes, solve ciphers and decode clues for an unforgettable adventure. Don’t let a little bit of inclement weather put a damper on your visit to the Gulf Coast. Visit one of the establishments listed above and leave us a comment on how much fun you had.